As far back as I can remember I have grown up with cars, all being Fords; a passion my father, Vince, passed onto me from an early age. Way back in September 1969 my father purchased a ’66 Mustang hardtop from a U.S. serviceman at the American Communications Naval Base in Exmouth, 789 miles north of Perth, Western Australia. Back then in Australia all lefthand-drive vehicles had to be converted to righthand-drive by using local Falcon parts. My father also tidied the car up before it could be licensed and sold. From that day to this, my father has not been able to leave Mustangs alone and now runs the successful and well known “American Auto Parts,” specializing in importation of Mustang Parts. 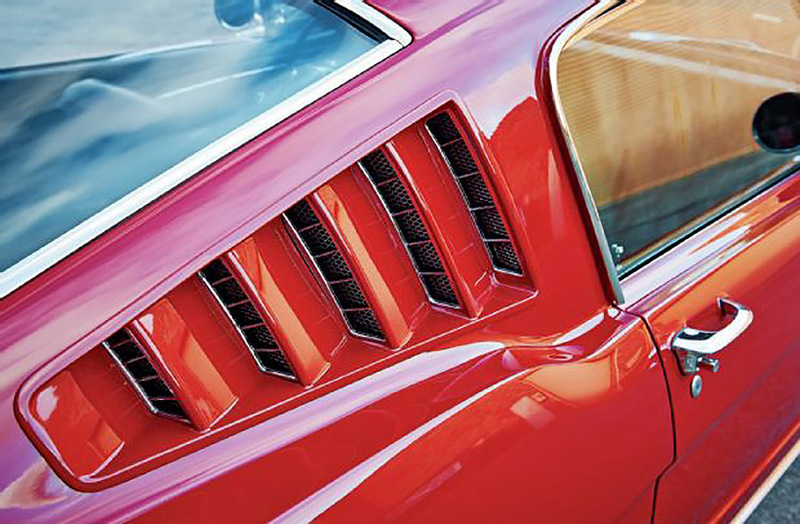 American Auto Parts has been around since 1971 and is Australia’s number one Mustang specialist. He is fondly known as “Mr. Mustang” in Australia. With his extensive knowledge of Mustangs and parts, he is able to help enthusiasts restore their Mustangs down under. At the age of 15 I left school and completed a four-year apprenticeship as an auto mechanic with a local Ford Dealer in Perth, Western Australia. This led to restoring Mustangs with my father. I set out to locate an early model performance Mustang Fastback of my own. In early 1997 Kevin Musgrave from Mustang World in Melbourne, Australia, who is a business associate of my father, located the car for me at the Pomona Swap meet in Los Angeles. All the details were checked by Musgrave and confirmed it was a genuine ’66 K-code fastback! Vince made contact with the owner from La Habra, California, who had owned the vehicle for 18 years. Vince then arranged for the vehicle to be shipped to Western Australia. It was driver quality, but very tired and required a full restoration. The car was exactly what I was looking for though—Candyapple Red paint, black standard interior, Kelsey-Hayes disc brakes, a four-speed, and a 3:50 Traction-Lok differential. A bonus was that it was also a San Jose–built and original “black plate” California car. The intention was to restore the car to concours original condition as per the MCA rule book, using new old stock and quality restoration parts. Over the next five years (1997–2002) we completely restored the vehicle, using both local and USA specialist services in the automotive field. After the car returned from the body shop, my father and I focused on restoring all the components; engine, transmission, differential, suspension, brakes, wiring, glass, interior, and so on, paying particular attention to finish and detailing of components. I reassembled the original Hi-Po 289 small-block engine myself. Dad and I refitted all of the restored components over many late nights, weekends, and after work hours. I spent a lot of time researching the car. I contacted Tony Gregory, editor of The 289 High Performance Mustang Book, to arrange for the K-code to be added to the worldwide registry. His book was a valuable source of information for me during the restoration. We are very pleased with the performance of the car. It runs as good as it looks, like a K-code should. Everything works perfectly just like it did back in 1966. The Hi-Po engine with the solid cam and lifters, four-barrel carb, and the throaty exhaust, this factory combination has a distinctive roar when you put your foot on the gas. The close-ratio Top Loader four-speed shifts beautifully through the gears, moving the sleek fastback body along. It creates a lot of looks wherever it goes.